Genoa is one of the great port towns of the Mediterranean. The birth place of Christopher Columbus, it was a bustling hub of commerce and trade during its hey day and is now a charming city that offers visitors much to see and do. Most people know the aquarium of Genoa, but this is not the only attraction of the city. Truly, its most recognizable symbol is the Lanterna, its lighthouse, but it is not the only one. Genoa is the city with the largest historical center in Europe: with all that history, architecture and art, it’d be impossible to associate the place to one, single thing only. 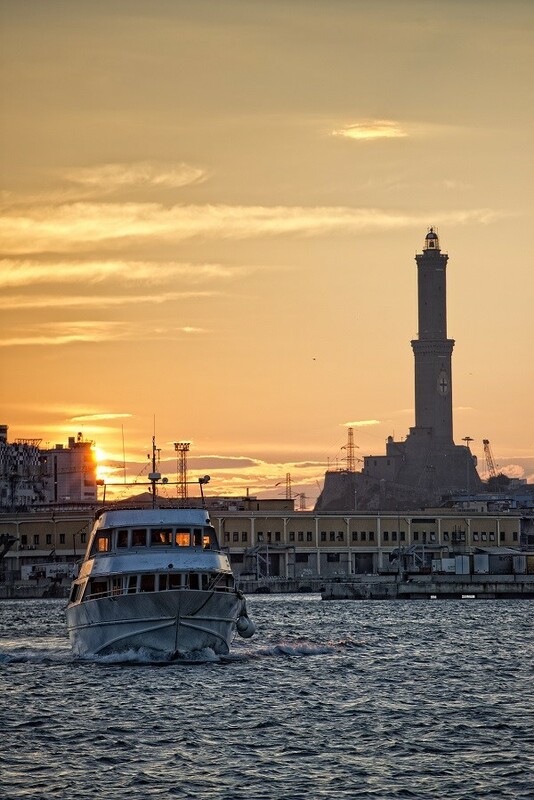 The celebrations for Cristoforo Colombo in 1992 were the occasion to add more interesting emblems, in particular a lift in the old port, and another lift allowing to reach the perfect location to enjoy a panoramic view of the city from the seaside. Both are today among the best loved tourist spots in town. The De Ferrari fountain is also well known by tourists. 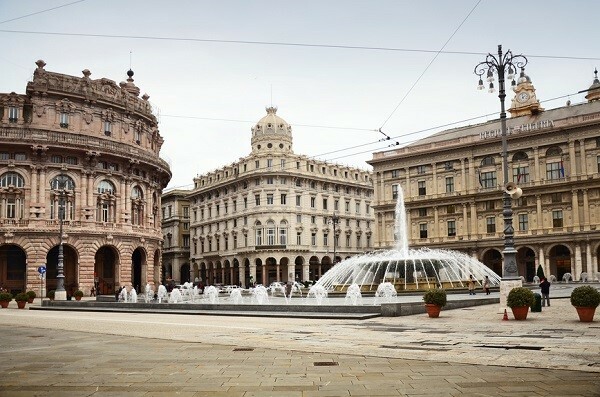 Even if Genoa technically has no center (because of a hill near the sea that didn’t permit a uniform development of the city), Piazza De Ferrari is commonly known as the center of the city and the fountain in the middle of the square is its symbol. No one can forget Garibaldi’s Monument in the Quarto area of the city, from where Garibaldi started his mission with 1,000 men to unite Italy in 1860. We would also like to mention a culinary symbol, the pesto alla genovese, renowned worldwide. Probably Christopher Columbus, even if someone asserts that America had been already discovered before 1492. Probably in Genoa or near there, although Spanish people say he was Spanish. We sincerely are not sure where he was born, but what we do know is that he, when he was young, lived in Genoa with his parents and his brother and that his uncle was the guardian of the Lanterna. Other important people from Genoa are Napoleon, that was born in Corsica just one month after Genoa gave the island to France, Giuseppe Mazzini, who organized the project to unite Italy, and the great Genoese singer Fabrizio De Andrè, whose songs were translated in many languages. Via del Campo, De André’s ode to the poetry and poverty of his hometown, Genova. In Genoa was also born Benedict XV who, in Genoa, studied law. Genoa has also had a great dialect actor: Gilberto Govi. He is not as famous, in Italy and abroad, as Antonio De Curtis (Totò, from Naples), but probably he was even better, with a capacity to make you smile with simple, yet very moving words. Genoa has a special place in the history of Christianity and Judaism, too. From its shores, more than a saint came: we can mention Santa Caterina da Genoa, Santa Virgina Centurione Bracelli, San Tommaso Reggio, and Sant’Agostino Roscelli. Jewish history remembers another son of Genoa, Riccardo Pacifici. During the Second World War, Genoa had one of the largest Jewish communities in Italy and this community had Riccardo Pacifici as its Rabbi. Pacifici accepted bravely his destiny, and was deported to Auschwitz from where he never came back. Yet another symbol of the tragedy of Holocaust, but also a reminder of dedition and love to his community. Going around in the city’s Monumental cemetery, the Staglieno, you can also meet another important person, who was not Genoese, but spent a long time in Genoa: Oscar Wilde‘s wife, Constance Holland Wilde. When in Genoa, you should visit the building where the Major works: Palazzo Doria Tursi in Via Garibaldi. In this building, you can see stones with the name of many areas of the city: why is this? Because until 1929 these areas where all different towns and were annexed to Genoa only in 1929. 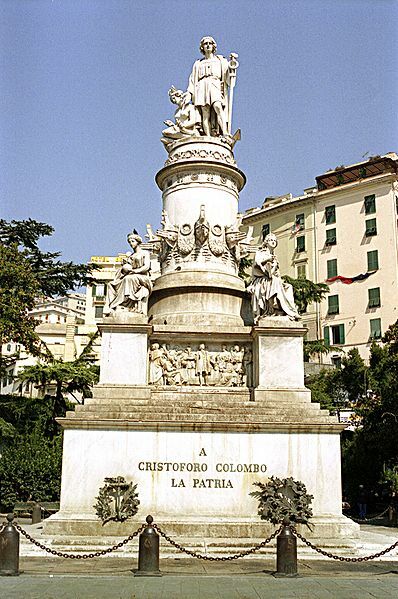 This is also the reason why, in Genoa, there are two monuments to Giuseppe Garibaldi: one in the “town” of Quarto where he started his mission, and one in the center of the city. Genoa has great traditions. First of them all, is the celebration of San Giovanni Battista on June 24th, when the archbishop blesses the sea during a procession where a 150 kg statue of the Christ Crucified is carried around the center. A similar procession takes place in occasion of other relevant Catholic festivities, for example during the celebrations at the Acquasanta church, or at Nostra Signora della Guardia. But this is not the only tradition. Genoa has many markets especially during Catholic celebrations: Santa Zita, San Pietro and Sant’Agata are the most famous. Apart from these traditions, Genoa hosts every year the Salone Nautico Internazionale that calls to Genoa many people from all over the world for a great exposition of ships. Every five years, the city is also home to the largest flower exhibition in the world, Euroflora. Another typically Genoese tradition is that of the Confuoco: the president of the A Compagna association meets publicly the major, in a re-enactment of the Medieval traditional meeting between the bishop and the doge (the president of the Genoese republic); the major and the president of A Compagna proceed to set on fire some pieces of Laurus Nobilis to foretell whether the new year will be fruitful. To reach Genoa you have different possibilities: most people reach it by car or by train, but there is obviously the possibility to travel by sea or reach the city by plane, flying on to the Cristoforo Colombo Airport. 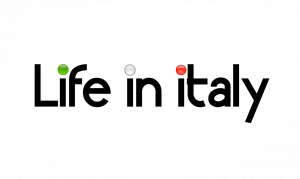 By car, you can reach Genoa from France using the A10, from the Northern regions of Italy using the A26, from Milan using the oldest highway of the country, the A7, and from Rome using the A12. From Rome, you can also reach Genoa by car using the SS (National Road without pay tolls) 1, a road that has a very long history. 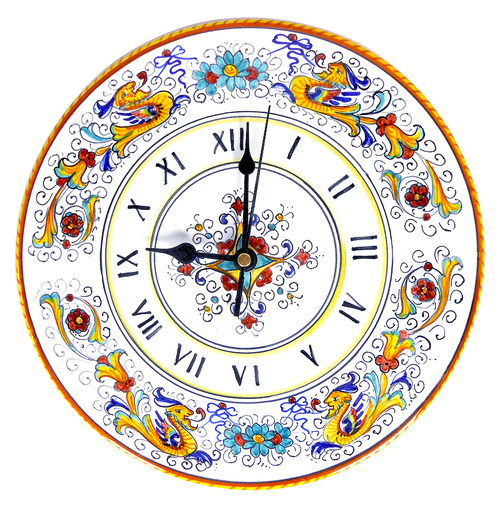 It is called Via Aurelia from the name of the Roman Emperor Aurelio, to whom it was dedicated. The Aurelia, with some minor changes, is still the same as it was in Roman times. But if you come to Genoa by train you can also witness some history: Genoa Principe Railway Station is one of the oldest in Italy: it was created in the 19th century, when the first railway line in Northern Italy was opened. It linked Turin to Genoa. Genoa Principe is one of the two largest and most important stations in Genoa (the other is Genoa Brignole, but there are more or less 20 railways stations in the city), and it is very well connected: France is a quick train ride, with the French TGV, and there are frequent connections with Turin, Milan, Rome and trains that can take you directly from and to the southern part of Italy and to Sicily. But for a city like Genoa, for the city of Christopher Columbus, the most important access door is obviously the port. Even if nowadays it’s no longer the most important port of the Mediterranean, Genoa continues to be a very relevant marine hub. From there, you can go to Corsica, Sardinia, Sicily, but also to Turkey or enjoy a cruise throughout the Mediterranean. The most important International Airports near Genoa are Milano Malpensa and Nice Côte d’Azur. But you don’t need to go to Milan to arrive in Genoa by plane. The Cristoforo Colombo Airport of Genoa has lots of flights ready for you, both low budget (for example Ryanair has many connections to London) and first class airfare (Alitalia, Airfrance, Lufthansa). It has frequent flights, for example, to Paris, Milan, Rome and Munich.